So I have been sitting here for over an hour just staring at the screen not knowing what to write. It's really hard being a blogger sometimes. I understand why some bloggers don't update their blog every single day. I really do need to get better at preparing posts. When days like today happen I'll have something to post even though my mind really is blank. Okay so what now? What am I going to talk to you about today? I thought that I try and inspire you all to eat more vegetarian. I would say vegan but I am not even vegan myself since I eat dairy. Really, that's the only thing the keeps me from going vegan, dairy. But I am going to order a bunch of food from Mathem this weekend so I am going to see what kinds of different vegan yoghurts they have. Mathem actually have a great selection of food. No matter what your allergies are or whether you're vegetarian or vegan I am you'll find lots of food that suits you. I thought that I would try and inspire you with some great vegetarian dishes that are super healthy and super easy to make! 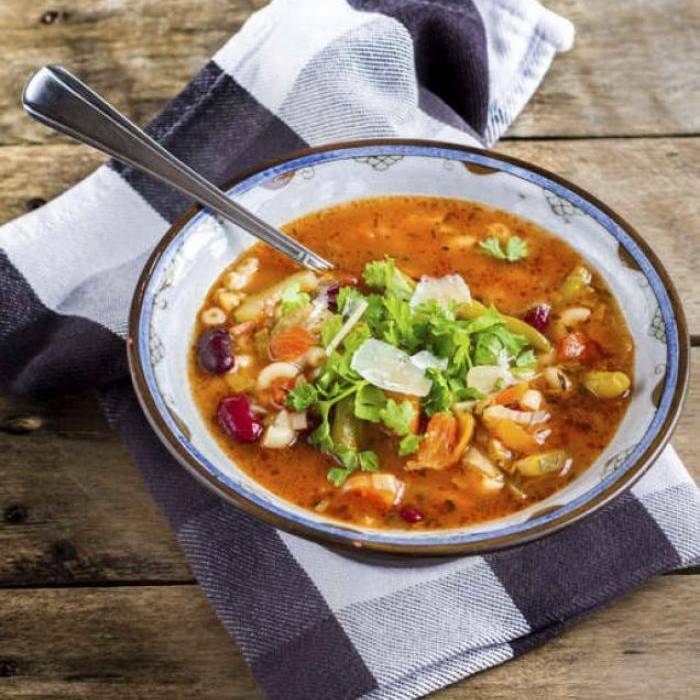 The first dish that I want to inspire you with is minestrone soup. It is my absolut favorite soup! Lots of vegetables that leaves you full and satisfied afterwards. I usually make my minestrone soup from a cookbook called Stora Soppboken (The Soup Book). For you guys a found a similar recipe on Mitt Kök. Tip: Add 50ml of grated parmesan. It gives the soup a creamy flavor. Click here for the recipe! The second dish that I want to tempt you with is risotto. 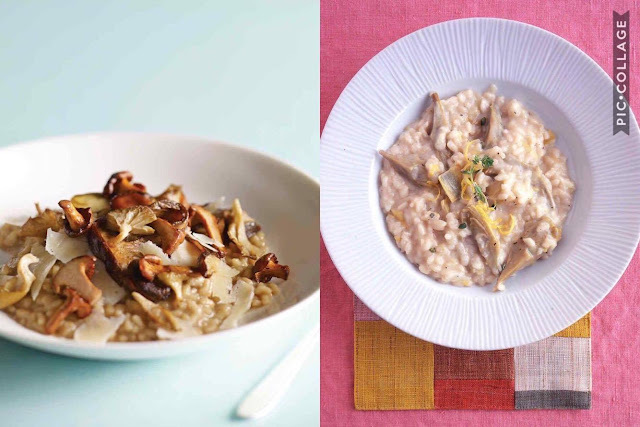 Risotto is a dish that you can make many different ways. I never make the same one. I just take whatever vegetables that I have at home and throw them in there. Even so I do have some ingredients that I do like in a risotto and that is mushroom, tomatoes and potatoes. And of course parmesan is a MUST! No discussion there! I used to think that risotto was this super complicated dish that demanded real cooking skills for it to be done right. That is not the case. It really doesn't take more than half an hour to perfect the dish. When I searched for recipes I couldn't really just decided for one because they all looked delicious. I did narrow it down to three recipes that I hope that you all enjoy. My last vegetarian temptation to get you over to the vegetarian side is falafel. Falafels are super tasty and full of protein! You can have them with rice, mashed potatoes or whatever you like. I like to have a little sauce on the side when I am eating falafels because they can sometimes be a little dry. But hey who doesn't love sauce! Another reason to love falafels! 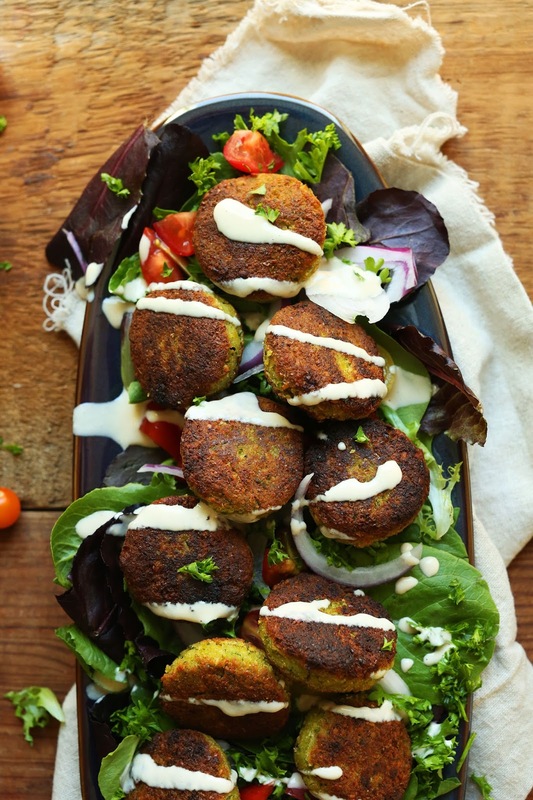 This falafel recipe is actually vegan. Click here to make your own super delicious falafels!